Positron’s FlexStream All Inclusive Regenerator (AIR) series AK5RS Carrier Ethernet Regenerator extends the rate and reach of the AK525 8 pair products from 18 Kft/ 5.5 Km to 50 Kft/ 15.2 Km and beyond. The environmentally hardened industrial grade AIR series regenerator is built on the patented field proven MIMO on DMT technology to guarantee reliable bandwidth over the extended reaches. 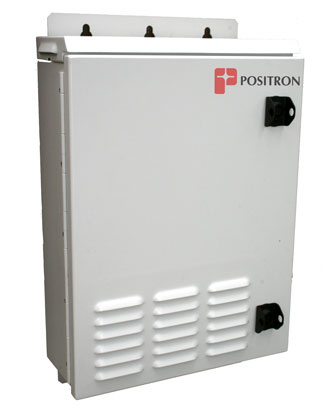 Positron’s AK5RS regenerator is built on a lightweight environmentally hardened enclosure, making it easier for the field professional to install it on a pole or wall. In two span mode, the AK5RS is line powered, which enables it to be deployed in any field cabinet or remote location without requiring a local power source. The AK5RS works in conjunction with the AK525 8 pair Carrier Ethernet bonded copper products. 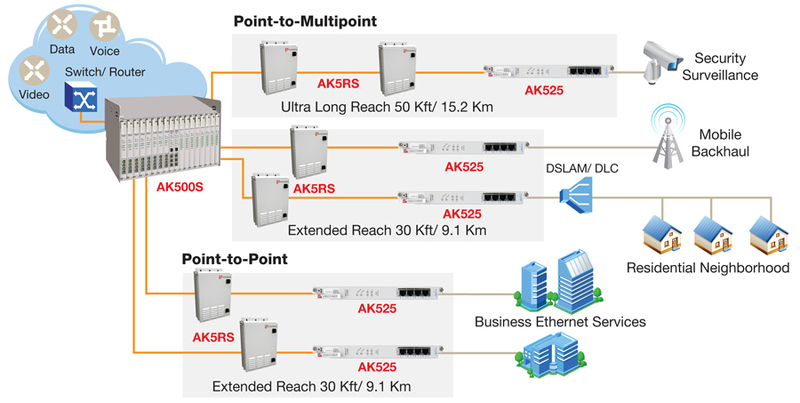 The AK5RS supports both symmetric and asymmetric bandwidths and extends the reach of the AK525 product series in Carrier Ethernet mode beyond 50 Kft/15Km. Service providers can deliver 60Mbps business Ethernet services, expand DSL premium services deeper into the network, serve the underserved and unserved communities and satisfy the mobile broadband escalating bandwidth needs over ultra long reach distances by cascading multiple AK5RS regenerators. With the AK5RS, service providers can now provide up to 100 Mbps asymmetric Carrier Ethernet services to all customers up to 50 Kft/ 15.2 Km and beyond using existing copper loops. With unique asymmetric features, the AK5RS is ideal for applications such as DSLAM and Mobile backhaul. The AK5RS regenerator is a standards-based product that provides superior performance and reliability compared to any other multi-pair bonded copper product on the market. Along with meeting copper loop standards the regenerator was tested to GR487 requirements. The regenerator is compliant with IEEE 802.3ah EFM, IEEE 802.1/802.3 LAN protocol standards and Metro Ethernet Forum (MEF9, MEF14, MEF17).